If you’ve been following the Chicago rap scene in 2012, you know the story by now. There were close to a dozen major label signings. There were good times and there were bad. Chief Keef came out of nowhere and in less than a year went from an unknown teenager to having an album on shelves by way of Interscope. Crews like SaveMoney, Treated and GBE popped up and made waves despite having no major backing (at the beginning at least). Producers like Young Chop, Million $ Mano, Thelonious Martin and C-Sick grabbed placements with blue chip rappers. Headlines were made, opinions were voiced, but there’s no denying that this one was exciting year for Chicago Hip-Hop. Love it or hate it, it got your attention. If you were to look at the year end lists from the ghost of FSD’s past, you’ll notice 2012’s includes a slew of new faces. 2012 was undoubtedly the year of unheard voices making names for themselves in an overcrowded market. A lof of these kids used the internet to their advantage, becoming instant stars on YouTube and Soundcloud. Did it work for everyone? No. But it did prove that music consumption is rapidly changing. No longer were these rappers chasing the labels, the labels were now seeking them out. Many took control of their own destiny — including a handful of Chi City vets. With so much content being released, there was probably quite a bit of music you missed — some may have never even hit your radar. 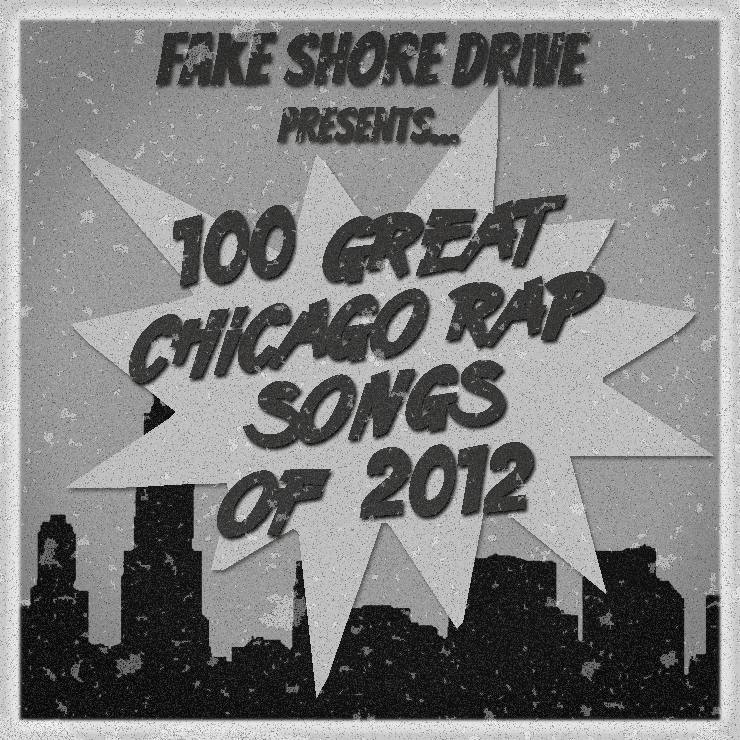 So we wanted to do a recap and highlight some of our favorite Chicago rap records of the year with 100 Great Chicago Rap Songs of 2012. Now, don’t spend too much time worrying about numerical order, just enjoy reading and listening. Hopefully you’ll find something dope that you missed, and revisit forgotten gems.